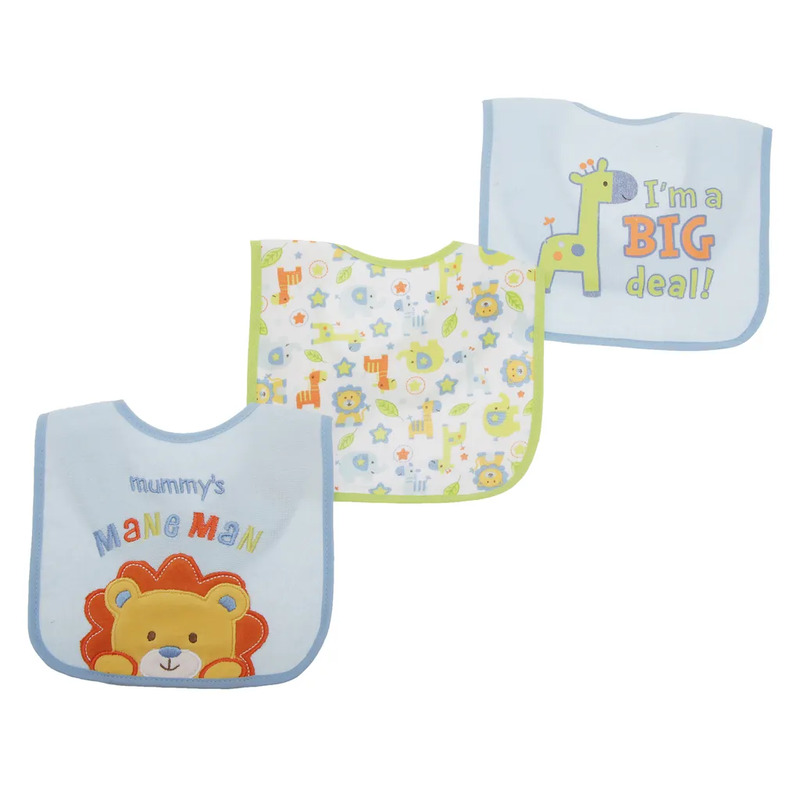 One Mummys Mane Man lion design, one Im A Big Deal giraffe design, one jungle animal print design. Touch fastener attached neckline for ease of fit. Front: 75% Cotton 25% Polyester, Back: 100% Peva (exclusive of trims).